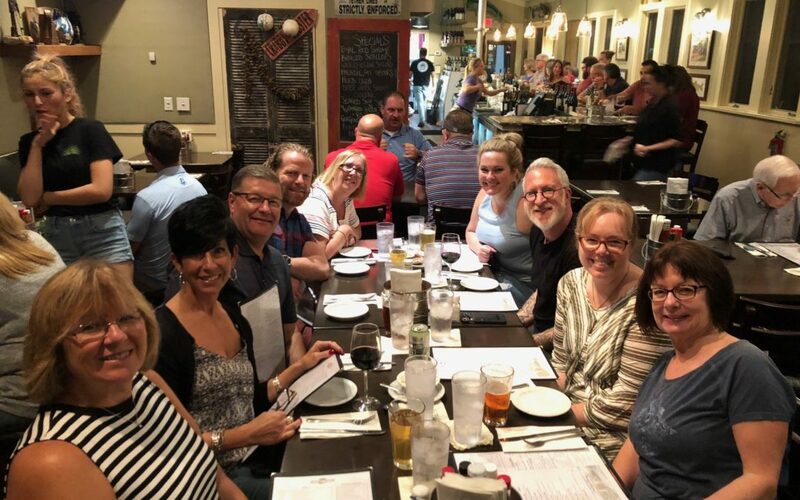 The FD family recently met with other leading kitchen and bath designers from around the nation at the Bath & Kitchen Buying Group Annual Conference in Jacksonville, FL. 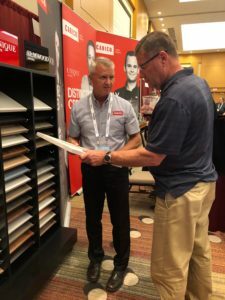 At the conference, designers and contractors have an opportunity to speak with manufacturers and product vendors, learn about emerging industry trends and new products, and give feedback about the current products on the market. 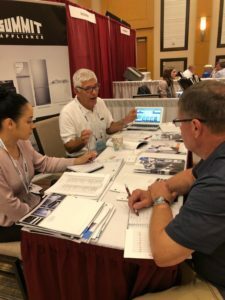 We had a chance to sit down with many of these vendors and learn about the new product lines they are offering, what trends they are seeing from a manufacturer’s point of view, and gain insight that will help us to stay on the cutting edge of kitchen and bathroom design trends moving forward into 2019 and beyond. Emerging trends in kitchen design depart from the popular white shaker cabinets coupled with stainless steel appliances and granite countertops. We are seeing a movement towards a bolder approach in kitchen design that includes more colors in cabinetry and metals, increased accent lighting on and in cabinets, as well as an increase in specific and specialized cabinet storage. New metal colors and finishes being introduced to the market include brushed champagne bronze and matte black stainless steel for knobs, accessories, and metal frames on showers. These new finishes are intended to match kitchen appliances so that all are similarly appointed for a uniform and coordinated look throughout the kitchen. Natural wood and white cabinets are being replaced by bold colors once again. Dusty blues and navy blues are making a comeback as popular cabinet colors in 2019. 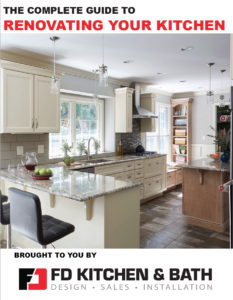 A greater emphasis is also being placed on increased lighting and specialized storage areas in kitchen designs. It is becoming increasingly more common to see lights inside cabinets. This serves a practical purpose as well as an aesthetic one. This trend of increased lighting also extends to closet design — it is becoming more common to install specialized lighting inside closets and even on closet rails to light up clothing. anymore. More and more consumers are wanting each, if not many, cabinets and drawers to be appointed with specialized storage — a space for each of your knives, coffee pods, or your mixer. Maximizing this space and storage is key, and there should be a place for everything and everything in its place. 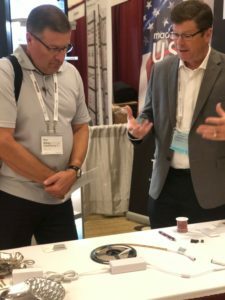 Our team is always reenergized when we return from this annual conference and we’re excited to incorporate some of the new trends, ideas, and products into our own customers designs. This makes now a perfect time to come in and talk to us about your kitchen or bathroom project!